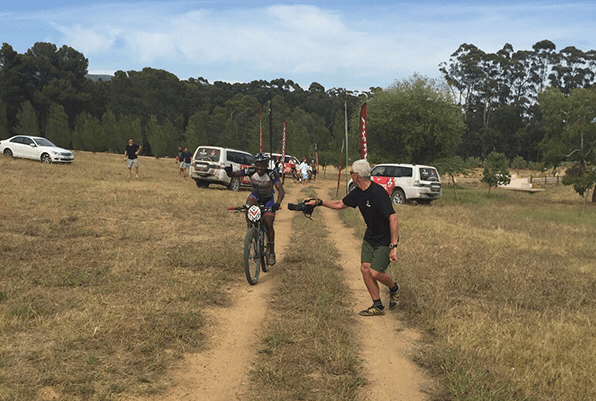 KwaZulu-Natal mountain biker John Ntuli won the inaugural edition of The Munga, which is billed as the toughest race on earth, on Saturday. John Ntuli takes first place! Ntuli, who is a product of the RMB Change a Life Academy, showed his mettle as he completed the 1 070km non-stop, unsupported race from Bloemfontein to Cape Town in 69 hours and 10 minutes. He crossed the finish line at Diemersfontein Wine and Country Estate ahead of runner-up Grant Usher in 73 hours and 31 minutes, with Leon Erasmus third in 74 hours and 15 minutes. The Zulu from the Valley of a Thousand Hills chased down early race leaders Chris van Zyl, who eventually scratched, and Grant Usher, passing his last rival as he crossed the Breede River Valley. After reaching the last of the five race villages at around 4.30am, Ntuli did not linger long, pushing ahead and putting more time into the field as he traversed the Ceres Valley en route to the last climb up Bain’s Kloof. Former single-speed world champion Amy McDougall proved her grit in pushing the limits, winning the women’s race in 84 hours and 33 minutes.